Actor Hafthór Júlíus Björnsson aka The Mountain from Game of Thrones stands 6’9 and weighs over 400 pounds. When The Mountain takes off his shirt men and women flock to see him. UFC welterweight and unbeaten staring contest competitor Gunnar Nelson wants to hang out with The Mountain. Interim UFC featherweight champion Conor McGregor thinks he and The Mountain could be the greatest pro wrestling tag-team of all time. 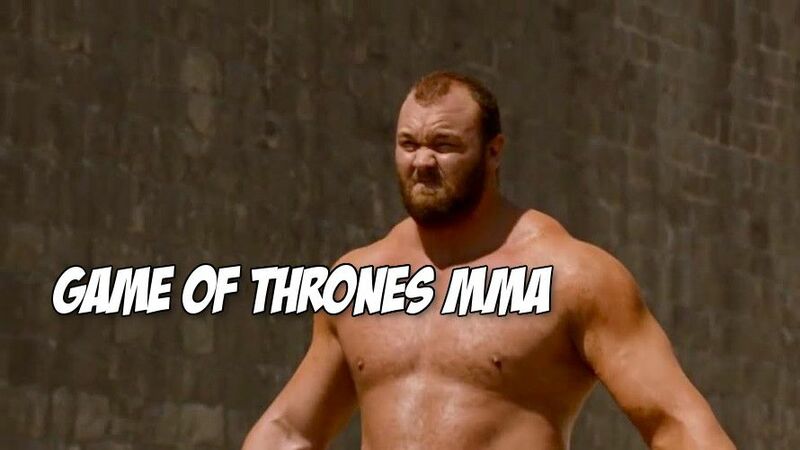 McGregor, Nelson and The Mountain from Game of Thrones should hang out more. They clearly are the best of friends. Had a good day today with these champs @gunninelson & @thenotoriousmma !